It’s been a busy week for NATO chief Anders Fogh Rasmussen. The week began with him telling lies, spewing propaganda, seeking to please Washington, trying to incite war in Europe with Russia, and ended with a warning to Russia to back down from military aggression. “The current crisis [in Ukraine] poses a serious challenge to our common security,” he claimed this week. “But,” he assured, “North America and Europe stand together in facing up to it. And we stand united in our firm response. 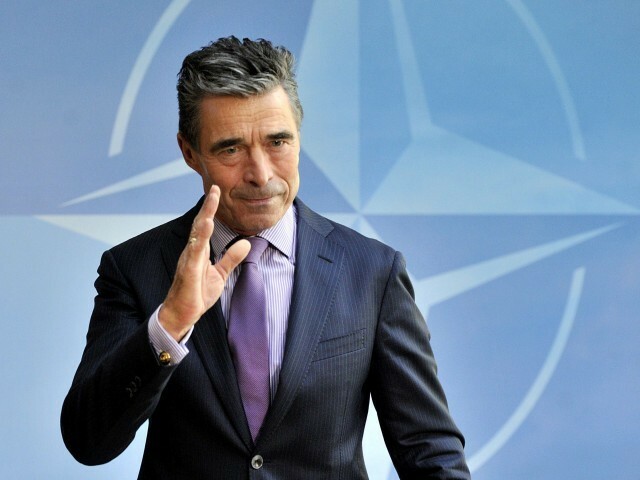 In recent weeks, we have seen the United States’ clear commitment to Europe’s security… We must review the readiness of all our forces,” said Rasmussen, sounding like a cross between a tin-pot general and an arms salesman working for Washington. We can be sure that Rasmussen’s masters in Washington really loved that bit of melodrama about America and Europe standing together and the US commitment to Europe’s security. For this is exactly what the Danish non-entity politician is doing. He is giving a European accent to Washington’s strategic agenda of sowing conflict between Europe and Russia, even if that means inciting a nuclear war. This entry was posted in War & Terror and tagged Anders Fogh Rasmussen, Denmark, NATO, Russia, Ukraine, USA. Bookmark the permalink.